Emily Skaja’s poems appear in Indiana Review, The Journal, Mid-American Review, Pleiades, and elsewhere. She is the 2015 winner of the Gulf Coast Prize in poetry, the 2014 winner of The Russell Prize for emerging poets from Two Sylvias Press, the recipient of a 2015 The Thomas H. Scholl and Elizabeth Boyd Thompson Poetry Prize (Purdue University), and the recipient of a 2015 AWP Intro Journals Award. 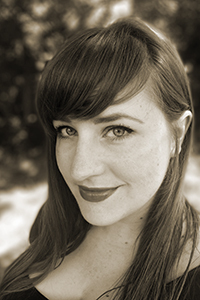 Emily is a graduate of the Purdue University MFA program, and is a PhD student in poetry at the University of Cincinnati.